The friends of Devonshire Road Nature Reserve have organised a music festival with the finest in music, food and refreshments. 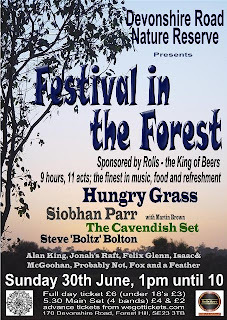 On Sunday, 30 June, eleven acts including Hungry Grass, Siobhan Parr, Martin Brown, The Cavendish Set, Steve ‘Boltz’ Bolton, Alan King, Jonah's Raft, Felix Glenn, Isaac&McGoohan, Probably Not and Fox and a Feather will perform between 1pm and 10pm. 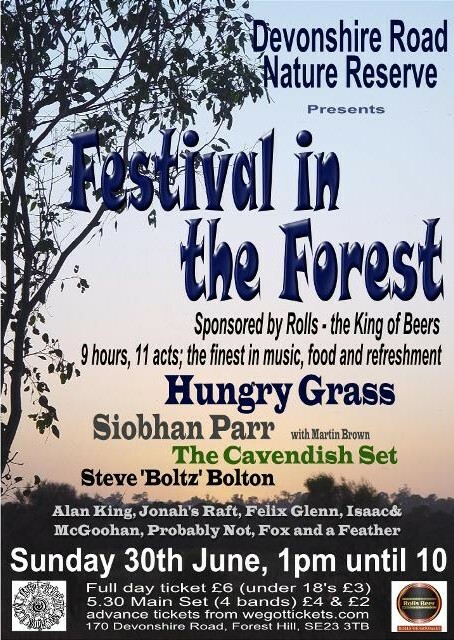 Festival in the Forest is a family friendly mix of music, food and drink with an eclectic blend of Folk, Country, Rock and Irish acts and space to dance or roam or picnic as the mood takes you. Seven acts will perform throughout the afternoon, followed by the four Headline acts after 5:30pm. 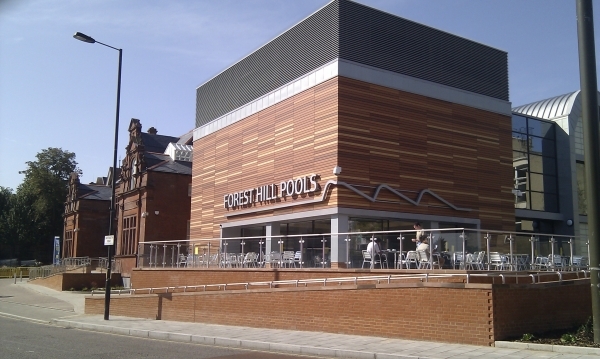 Food offered will include Slow Roasted Pulled Pork, BBQ and Vegetarian dishes and homemade cakes and pastries while the bar will be offering a range of beers including our sponsor's ‘Rolls’ Portuguese imported craft beer, wine, a range of soft drinks, tea and coffee. Tickets are £6 for the whole set or £4 for just the main set from 5:30pm (£3 and £2 for under 18s) and can be purchased on the door, or in advance from WeGotTickets.com by clicking on the links above. 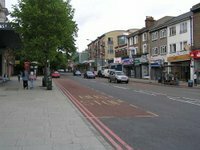 Parking is free in nearby streets and the Nature Reserve is easily reached from either Honor Oak Park or Forest Hill Stations (approx 7 minutes' walk from either). The festival area is outdoors, with marquee cover in the event of rain and the visitor centre will be available for extra cover and toddlers, with full toilet and baby changing facilities. The festival is accessible for wheelchair users, although the paths are a little uneven. The main reserve is not suitable for wheelchairs. Unfortunately, dogs are not allowed. Fed up with bikes in your hall?